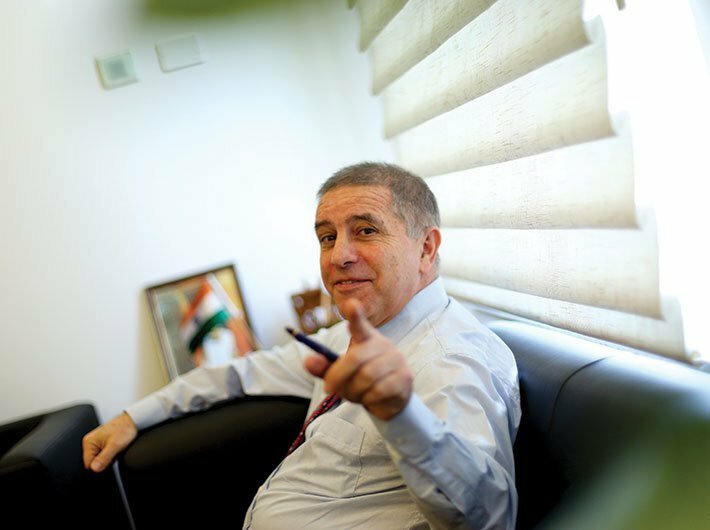 Prime minister Narendra Modi’s July 5-6 visit to Israel will be of “huge importance”, stressed Israeli ambassador Daniel Carmon who added that his country is ready to offer New Delhi whatever it requires for joint defence production under the Make in India initiative. “We can’t explain in words how much important would be Modi’s visit. We attach huge importance to it,” Carmon said at an interaction organised by Ananta Aspen Centre here on Wednesday. Departing from the past trend when Israeli authorities welcomed foreign dignitaries in Tel Aviv, Modi would be welcomed in Jerusalem, Israel’s new capital that several countries, including Palestine, have not yet recognized. The Israeli diplomat, however, refused to answer a question about his country’s stand on India’s narrative that Pakistan is an epicentre of terrorism in the region. But he admitted that after signing a pact on homeland security in February 2014, “there has been increased cooperation between the two countries on the security front”. On defence cooperation and the possible signing of agreement for the purchase of defence equipment, Carmon said that Israel, which is the third largest source of defence equipment to India, “is ready to offer New Delhi whatever it requires (for joint production) under make in India initiative”. He also said that Israel and India are currently engaged in several defence related projects. In the last week of February, the Modi government had cleared the acquisition of a million dollar worth of medium range surface to air defence missile (MR-SAM), jointly developed by India’s Defence Research Development Organisation (DRDO) and Israeli aircraft industry. When Israeli president Reuven Rivlin visited India last year, the two countries signed agreement for the purchase of two more Phalcon Airborne Early Warning and Control Systems (AWACS). India has already acquired three Phalcon AWACS from Israel and they are mounted on Russian built IL-76 aircraft. India had also signed the deal for 10 Heron TP unmanned air vehicles. The two countries may also sign MoUs on space, cyber security, agriculture, education, water management and tourism during Modi’s visit. The Israeli ambassador, however, didn’t shed light on whether Modi would address Knesset during his forthcoming visit. There is also a buzz in South Block about the possible signing of a long-pending Free Trade Agreement between the two nations during Modi’s two-day visit.